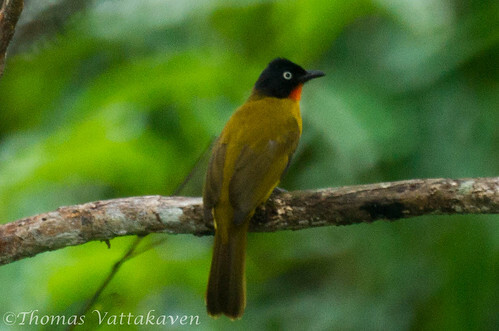 The Black-crested Bulbul (Pycnonotus melanicterus) is also known as the Flame-throated Bulbul. There is great confusion regarding the classification of this species as there are a number of subspecies. The crest and head are a glossy black. 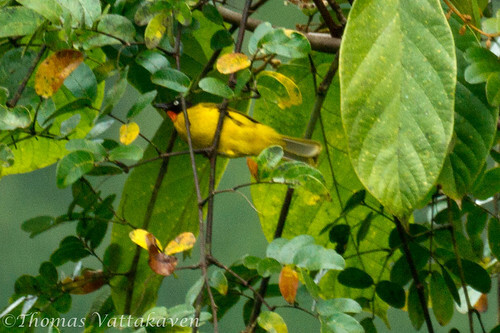 The rest of the upper body is olive yellow, while the underparts are a bright oil-yellow. 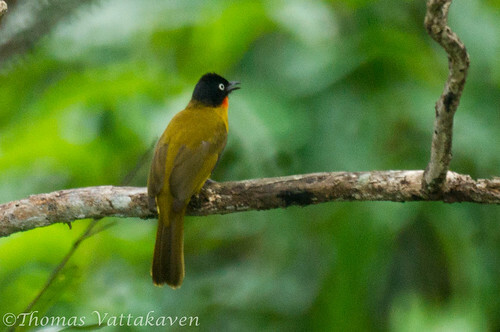 The Southern species pictured here is a crestless race and has a ruby throat. 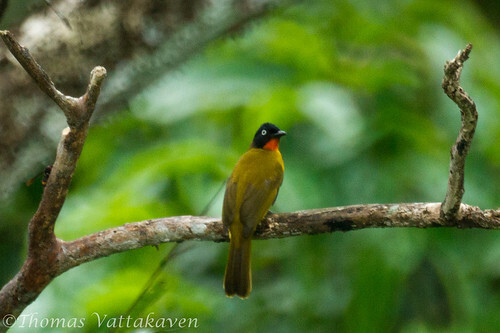 The Sri Lankan race has a yellow throat. 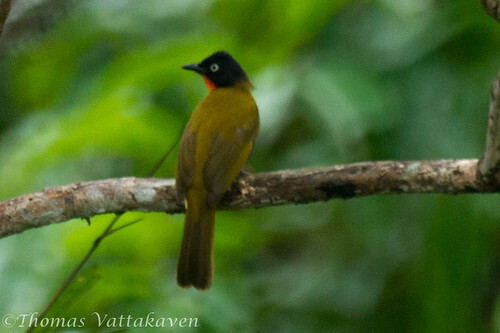 The nominate race in the North-East and East India has a black crest. The bill is black and the iris is creamish to yellow and has a whitish eye ring. The sexes are alike, but the young birds are duller in colour. 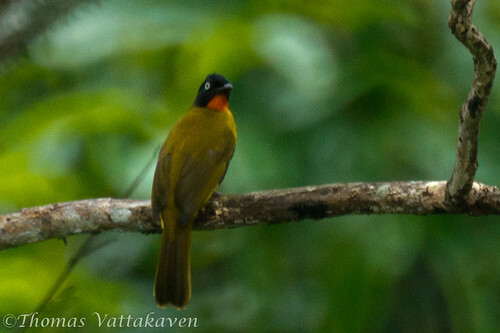 This species keeps to forested areas and is a shy bulbul, sometimes going about singly, sometimes in flocks. 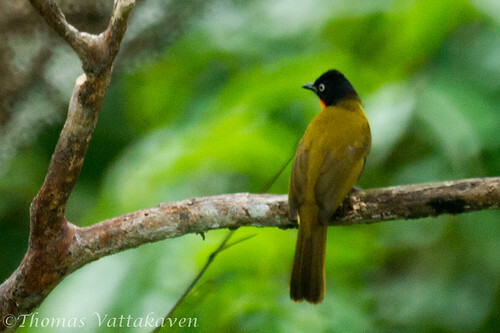 The Black-crested Bulbul feeds on fruit and insects. Nests are built in bushes and two to four eggs is a typical clutch.